Aluminum alloys is really no stranger for everyone. Basic necessities of life, almost everything is inseparable from aluminum. Such as eating, aluminum pots, aluminum bowls, aluminum chopsticks.For use, aluminum mirror, aluminum rivets clothes, cell phones, computers，cars, trains, aircraft. About living, houses, aluminum alloy doors and windows, aluminum ceiling, aluminum wardrobe, aluminum tables. It can clearly be seen we can’t live without aluminum alloys. Today mainly introduces the indoor use of aluminum alloys. The biggest advantage of an aluminum alloy that greatly improve the mechanical strength and surface hardness of aluminum, and still maintain the inherent characteristics of lightweight aluminum, its value is greatly increased. Especially aluminum surface treatment after diversification, both with shiny metallic luster, smooth surface and is very fine, soft color gorgeous, a high performance, versatile interior decoration materials. Aluminum alloy is widely used in interior decoration, except for doors and windows, ceiling, walls, handles, but also in the form of composite materials for aluminum composite panel and aluminum tubes. (1) light weight, ceiling weighs only about 3kg. (2) It is convenient to install, construction speed, completion can be used. 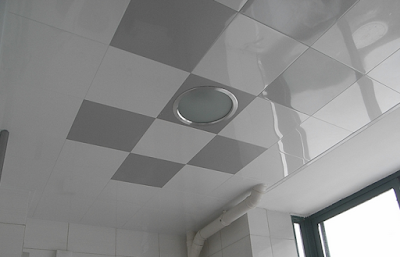 This is because the aluminum trim board ceiling installation is finished, no further for other decoration. (3) aluminum trim board ceiling is pure metal material, not only has the texture of the metal, and particularly dry, pretty, bold lines, crisp style, gives a sense of elegance. (4) In addition to the ceiling joists bearing rod members, but also the role of both fixtures, compact structure, beautiful appearance. Take advantage of aluminum alloys, Let our lives better.